RETIREMENT SALE!!! 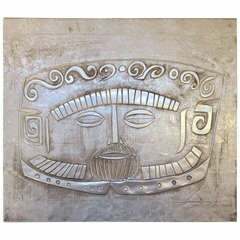 EVERYTHING MUST GO - CHECK OUT OUR OTHER ITEMS. 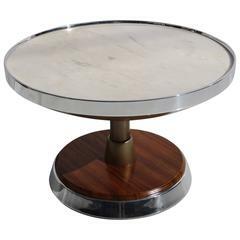 Giovanni "Nino" Zoncada (Italian 1898-1988) is considered one of the "big three" in Italian ocean liner interior design. Along with Gio Ponti and Gustavo Pulitzer-Finale, Zoncada's designs graced the finest Italian ships from the 1930s-1970s. This lovely pair is from the Stella Maris-II, and date to 1965. The pair pictured have been recently restored. We have a few pairs available, and will re-upholster in any fabric provided by you. They are elegantly scaled, and quite comfortable. Priced for the pair. Nino Zoncada style armchair, 1950s, Italy, with steel legs and brass feet tips. This easy chair with armrests is reupholstered with two-tone velvet. 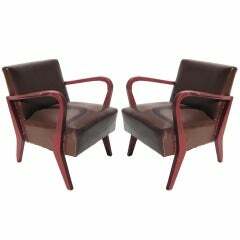 Beautiful 1950s pair of Italian armchairs by Nino Zoncada. Pair of Italian armchairs by Nino Zoncada. Italian reclining armchair in green Hopsack designed by Nino Zoncada and manufactured in the 1950s. The chair is completely reupholstered. A beautiful pair of lounge chairs designed by Nino Zoncada ,fabric and metal legs. Manufactured in Italy, 1950s. Wear consistent with age and use. Beautiful contemporary club chair. Comfort and grace interpolated.